The “War on Drugs,” specifically marijuana, has resulted in many casualties over the years, including numerous deaths as a result of overly aggressive pursuits. The latest death out of Pennsylvania is evidence of how far we still have to go before we fully grasp the harm caused by hostile anti-marijuana stances. 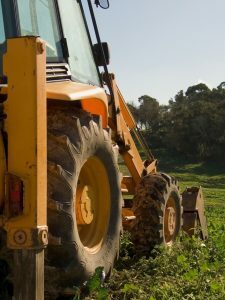 According to a report from American Civil Liberties Union, a man was run over by a bulldozer recently during a pursuit, after the man was allegedly caught growing a whopping 10 plants on state gaming property. The death was reported as accidental, but regardless it is an example of how needless and reckless brute force is in enforcing marijuana laws. The small grow site was found after a game commission employee on the bulldozer was clearing brush and spotted a vehicle. He called the police after he investigated and found the marijuana plants. What followed was the definition of overreaction. Upon their arrival, police spotted two men emerging from the underbrush. They apprehended one, but the other escaped on foot. The 10 plants apparently warranted a full search with police and the game commission joining forces. Police officers called in a helicopter to search the surrounding area, while the game commission employee continued the search on the ground. Somehow, the suspect was caught up in the thick underbrush. Cause of death was listed as traumatic injuries caused by the force of the bulldozer. Our Orange County marijuana criminal defense attorneys will always support following the law; however, we also will always encourage questioning the law, especially when it seems unjust or arbitrarily harsh, as was the case here in Pennsylvania. The amount and level of resources used to find one man is confounding considering the state’s track record for dealing with crimes of this nature. Medical marijuana is legal in Pennsylvania for a limited pool of patients, and growing any amount of plants is a felony. Sentencing, though, is generally light. ACLU cited one example of an illicit grow site in the state with more than 100 plants in which the grower was sentenced to 30 days in jail and house arrest for six months. A grow site a fraction of that size hardly seems worthy of a full man hunt, certainly not one that sentenced the man to death. Sometimes it takes unnecessary tragedy to make people wake up to the reactionary nature of our law enforcement agencies. Our lawyers only hope we will someday learn our lesson once and for all to prevent such incidents in the future. Even here in California, where both medical and recreational marijuana has been legalized, there are still laws to abide by and various levels of enforcement. California state law doesn’t always align with laws in each county or city, which could have stricter regulations and bans. There are also areas of the state that are simply friendlier to the marketplace than others. Our marijuana attorneys understand your rights in the face of overly harsh enforcement. We take on criminal defense cases for cannabis-related crimes in the Los Angeles, Orange County, and Riverside areas of Southern California.